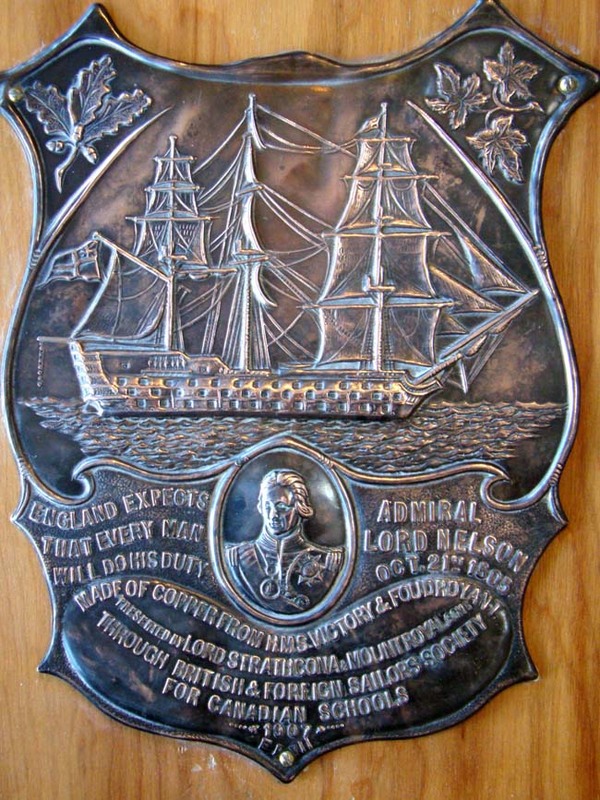 The inscription on the plaque reads as follows: "England Expects That Every Man Will Do His Duty, Admiral Lord Nelson, October 21, 1805." 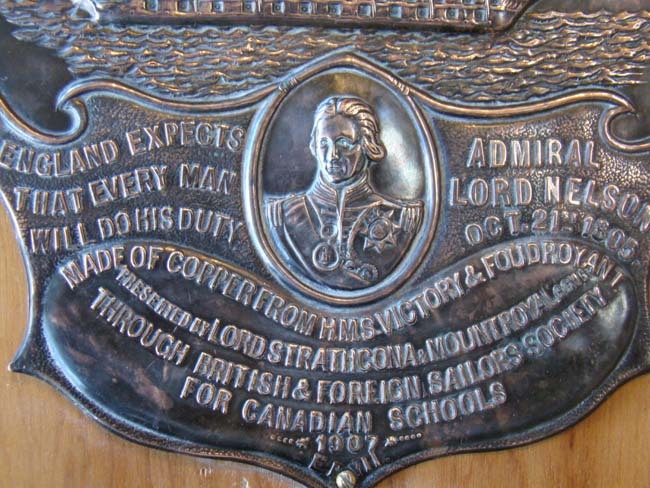 "Made of copper from HMS Victory and Foudroyant, Presented by Lord Strathcona & Mount Royal CCMG through the British & Foreign Sailor's Society for Canadian schools 1907." The plaque measures 6 1/4" by 8" and is mounted on a wooded backboard.